Lots happening in East Van being New Year’s Eve is this Sunday. Our weekly feature What’s On East Van sets out cool events for the upcoming week which highlights some of the New Year celebrations. Beyond the week, we invite you to check out our Event Listing which is updated daily and features events for the month and beyond. PNE Agrodome is hosting ice skating Friday, December 29th from 1:00 pm to 4:00 pm. Cost is $3 for adult, $2.50 for youth/senior, $2 for kids 3-12 and kids under 2 are free. Note, there are no skate rentals or helmets, you will need to bring your own. If you miss the skate on December 29th, it happens again January 3rd and 5th same time. You have a number of choices depending on what you are looking for. If you are looking for dinner and dancing, we recommend Federico’s Supper Club. Perfect venue with great food, excellent service, dancing and a great night out. If you prefer something a little on the naughty side, you may wish to check out Patrick Maliha’s 5th Annual Naughty Little New Year’s Eve Party at The Rio Theatre. If you are looking for a family night out, Rocky Mountain Flatbread on Main Street is again hosting a 3 course dinner for adults and kids which includes pizza or pasta making. For a laid back adult evening, Bodega on Main is hosting a casual event starting at 10:30 pm with a live DJ. There is a $20 cover charge which gets you in the door with a glass of champagne and canapes served which are served until 4:00 am. The Cascade Room is hosting a British themed New Year’s Eve party from 2:00 pm as well as a Late Night Menu from 10 pm to 2 am. For those planning a night out this New Year’s Eve, we hope you plan to travel safe. We know all too well, cabs are near impossible to find. So keep in mind, transit is free from 5:00 pm on December 31st to 5:00 am on January 1st with an extended service. To see, what service is available, check out the Holiday Schedule which we’ve included a link to. Peruvian restaurant, ChiCha’s in Mount Pleasant is doing an New Year’s Brunch all day long. We hear it’s happy hour all brunch long. Britannia Ice Rink at the Britannia Community Centre is hosting a free skate from 1:00 pm to 3:30 pm. This is your last week to catch the fun that is the East Van Panto on now at The York Theatre until January 6, 2018. This is one show you don’t want to miss. Great family fun, the music alone is worth attending, but the performance, storylines and few political jabs just too much fun to pass up. Tickets start at $22. For more information, check our recent write on the East Van Panto. Looking to take in a classic movie? The Rio Theatre is featuring The Shining this Saturday, December 30th at 7:30 pm Don’t forget the Winter farmer markets are not on this weekend at either Nat Bailey Stadium or Hastings Park. They will return next weekend. To see more of what’s on in East Vancouver, check our Event Listing. 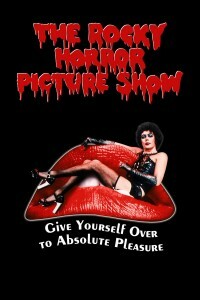 The Rocky Horror Picture Show At The Rio Theatre 2X! Let’s Do The Time Warp Again and Again! The cult classic film The Rocky Horror Picture Show in all its campy glory will be showing at the Rio Theatre, 1660 East Broadway, not once but twice this coming week. First chance is this Sunday, October 11th at 10:15 pm. For the 40th Anniversary screening of this iconic movie, there will be an extra treat that being Vancouver’s nerd troupe, The Geekenders. If you can’t make this show, it will also be showing on Friday, October 16th at 11:59 pm. Tickets are $12.00 at the door. Audience participation is highly encouraged and $2 prop bags will be sold in the lobby prior to the show. For those wanting advance tickets, please take note they are already SOLD OUT. There will be limited tickets available on each of the two evenings. Box Office opens at 5:30 pm and after that they will be creating a Rush Line from 8:30 pm. Costume optional but highly encouraged.